The bloons have swept across the Land of Ooo and there is no one that can stop them… or is there? That’s right! It is YOU on whose shoulders rests the fate of this imaginary land! But you will not be in this endeavour alone! 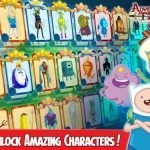 There is Finn and Jake and Max and Princess Bubblegum and many, many more heroes from the Adventure Time series who will help you save the world from the unlimited hordes of the bloons. However, the willing hearts and high spirits may not be enough to deal with the enemy of this calibre. You will need weapons, tactics, allies and powers which will help you win this epic struggle. 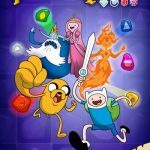 Before we move on to the substance of this Bloons Adventure Time TD strategy guide, if you are new to the franchise, you probably wonder what is it all about. Bloons Adventure Time TD, developed by Ninja Kiwi Studio, is a tower defense game that draws upon the cartoon series under the same title. 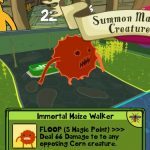 As in most tower defense games, in Bloons Adventure Time TD your task is to protect a certain point on the map from being swarmed by enemies which make their way to it via particular routes. You must stop them before they reach the finish line and do the damage. Once the hitpoint value goes down to 0, you know that you have lost. In Bloons Adventure Time TD, towers are replaced by heroes and their allies who can be spawned around or directly on the track. The more you play, the higher levels your characters can get, along with new and more powerful skills which can make your bloon-popping more effective. The main difference compared with classic TD games is that you cannot duplicate your heroes just like you can duplicate towers, so you need to learn how to manage their considerably limited numbers in order to gain the advantage. Hopefully, our Bloons Adventure Time TD beginner’s guide, that comes with a couple of useful tips and tricks, will make your bloon-popping easier and much more effective. Every character you control has a specific set of skills and, consequently, a specific role in the game. Finn, one of the main heroes you begin with, is a typical quick damage-dealer, Jake does a variety of different kinds of damage, but also has an ability to push back the incoming bloons, whereas Princess Bubblegum’s buffs increase your heroes’ range, damage and make their attacks faster. As you can see, there are different setups of characters you can come up with in the game. What would happen, however, if your team was full with but one type of heroes, let’s say, damage-dealers? Well, undoubtedly, the pierce damage you would do to bloons would be incredibly high, but in the later stages of the game you would probably experience certain difficulties in managing the flow of the incoming bloons because of the lack of specialised crowd-control characters. Just like in any other tower defense game, in Bloons Adventure Time TD, the key to victory is to balance things and combine different types of “towers”, so they can complement each other and work well together. In order to effectively pop bloons, aside of typical dps characters, you will need heroes with crowd-control skills, who will slow down, push back or trap your enemies, but also buffers who will increase your heroes’ damage, speed and range. At the beginning of the game you are given with a fairly good setup of base characters – Finn and Max as pure dps dealers, Jake as dps and cc, and Princess Bubblegum who works well as a buffer, debuffer and crowd-control. It’s probably best to keep that setup during the early stages of the game, however, mind that the more adventures you go through, the more different heroes you will unlock. Given new characters, you can test their capabilities and effectiveness, so that you can choose the most optimal setup to play with. Balancing the team with a variety of heroes won’t do the job. In fact, it merely opens the doors of numerous possibilities of deploying your heroes around the track. You must remember that characters have their favourite spots to be at, and at which they can be the most effective. Even though the rule of the thumb makes them generally the deadliest at the “choke points” of the map, where the routes cross one another, or in the places where the bloons make circles before they go further, you must first learn your heroes capabilities, as well as their pros and cons to choose the best place for them to be. For example, Princess Bubblegum is a decent early-game buffer, has an ability to slow down the bloons and remove camo and regrow, but her attack speed is rather low and weak. At this point, you know that her main task won’t be damaging, but buffing your heroes and making bloons weaker. When placing her around the track, make sure that her range covers all of your heroes, so boosts coming from “Regal Presence” and “Unwavering Loyalty” skills will apply to each and every one of them. The best way is to put her in the middle of choke points and place other characters in the reasonable distance. Bubblegum’s secondary role are debuffs. Once you have fixed her a fine spot, make sure to purchase first “Super Intelligence” to remove camoed and regrow bloons, and then “Bloon Science” to deal additional damage to ceramics and MOABs – bloons which are much more difficult to pop than the regular ones. Additionally, it’s best to set her target order to “target: strong”, so she will focus on hitting and, consequently, debuffing stronger bloons instead of wasting time on the regular enemies which usually expire on hit. Placing characters close to one another (but not too close, otherwise they will hit the same targets and simply waste their hits) has a benefit other than just increasing their dps’ capabilities. Certain heroes have skills that can be activated only when they stand close to other particular characters. The example here is Finn and Jake who can enable “Bro Fist” skill which provides additional cash and refills lost lives at the end of each turn. Such cooperative skills are, however, usually expensive, so it’s best to buy them later in the game and until then, simply focus on improving your characters’ combat efficiency. 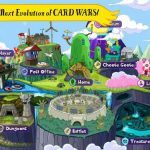 In Bloons Adventure Time TD, aside of teeming masses of the regular bloons, your heroes will face special, much stronger enemies, which will require from you taking a specific approach. Some of the special bloons will regrow in time, while others will literally raise from the dead! There are bloons that will become vulnerable to hits only after your heroes possess particular skills. The example here is Princess Bubblegum’s “Super Intelligence” skill which removes camo and regrow boons making special bloons much easier to pop. Make sure to buy these skills as soon as possible, because otherwise the special kinds of bloons will be immune to your heroes’ damage. Usually during the final waves you can expect the coming of several big guys called MOABs. They are basically zeppelins which carry a huge number of bloons on their board – enough to end the game even if you haven’t lose any lives before. They are very tough to destroy, immune to most crowd-control skills, but also very slow. Use the latter as your advantage. The best way to deal with them is to buy for your characters several end-game skills that can counter MOABs in a number of ways. Finn’s “MOAB Ripper” deals extra damage vs MOAB-class bloons, whereas Jake’s “Locked by Jake Suit”, snares them in place and also deals a considerable damage. You can, of course, counter them with powers, but they usually cost a huge amount of coins and have a limited number of uses, on the contrary to anti-MOAB skills which can be used every time they are off cooldown. Even though you have only several heroes at your disposal, some of them can equip allies. They are a type of towers, similar to your heroes, but with much fewer skills to upgrade. At first, they may not look too useful, but they are cheap and in the long run work well as a support for your main characters. Some of them can be placed right on the track of the bloons, others drop tasty pies which heal you on spot. You can get them as rewards by finishing adventures or through quests. It’s best to put allies around the unguarded or weakened spots of the track, either as the first or the last line of defense. If you have buffers in your team, it’s good to spawn allies within their proximity for a number of improvements. Probably one of the best types of supporting allies you can get is BMO, who can generate extra cash over time. A huge part of your successes or fails comes from whether your characters have equipped right weapons and trinkets or not. They improve your heroes in a variety of ways – from providing them with additional pierce, through attack speed, stuns and snares, to healing abilities. Throughout the game you will also find items of different level – from common, to uncommon, rare and epic. The more rare item, the more difficult is to get it. You can obtain them by completing quests, finishing adventures or opening Wish Orbs. A word of advice is that you want to equip your heroes with the right items in order to improve them, so first you have to carefully study your heroes’ capabilities and then adjust these items to them which will make your characters more effective in the process. Also, in the early game you want to get as many weapons and allies as possible, since they drop less frequently than trinkets. The latter are also very helpful, but are much more common to get during the game. Once you complete quests and adventures, you are rewarded with coins, which you can spend on destructive powers, as well as weapons, trinkets and allies, which boost your heroes’ capabilities, but also Wish Orbs. The latter work as chests inside of which you can find three cards. You get one for free, but the rest you can buy for gems or, if you don’t have enough of funds, you can simply discard them. You can also craft Wish Orbs of different rarity by spending on them a certain amount of shards. The higher orb’s rarity, the higher amount of shards you will need. It’s best to save your shards straight away for the Epic Wish Orb for the guaranteed epic item, instead of getting Wish Orbs of lower tiers. It’s cost, however, is a tremendous 3.500 shards, so you better equip yourself with a lot of patience. Nevertheless, it’s definitely going to be worth the effort! Another important feature that helps you fight the bloons are powers. They are good all-round massive skills that support you in a number of ways. They can, for instance, boost the gain of cash per round, regain lost hp, stun all the bloons that are currently on the track or send a destructive wolf pack down the path that erases your enemies on sight! They are cool to have and often they are real game changers, but you must remember, however, that you will have as many uses of them, as many of them you have purchased before departing on an adventure. Because they are rather expensive, especially at the early stage of the game, you must learn how to manage their uses to optimize their effectiveness. Burning yourself out of powers too soon is a grave mistake you don’t want to make. It’s best to use your powers as lifesavers when things go bad, or single time boosts that help you gain a temporary advantage. Depending on the difficulty level of your adventure, it’s best to set yourself thresholds at which it is most likely you will activate particular powers. During the first few rounds, when the bloons are still quite weak, it’s good to farm some cash to quickly place heroes you need and equip them with necessary skills. “Golden Crown”, a Power which gives you extra funds per every bloon popped, is a good way to go, since it costs only 50 gold coins and it can provide you with a reasonably high income in the early game. When it comes to pure damage and crowd-control powers, they are much more expensive than boosting powers, so it’s best if you save them for tight moments, when some of the bloons manage to get through your defences and there is a risk of losing the game. The first and the foremost thing you want to do in order to optimize your start in the game is unlocking other characters by finishing adventures. It’s simply the best way to learn pros and cons of all characters and choose your top bloon-popping squad you want to play with. You may also wonder, what difficulty level would be the best fit for you at this point. Whereas gold chests may tempt you with their bountiful rewards, it’s best to start with bronze or silver difficulty, to simply know your capabilities and advance in the game without major problems. Knowing your heroes’ roles and abilities, place them around the key points on the map, at the crossroads and loops, so they can be the most effective. Also, make sure they are in range of your buffers, and those characters which have cooperative skills, place close to each other. Once you fix the most desired positions for your heroes, it’s the farming time. During the early game, feel free to pop gold-increasing powers, such as “Golden Crown” and spawn gold-farming allies, such as BMO. You can increase the income per round even more by equipping Finn with “Bro Fist” skill and, for that purpose, positioning him in the proximity of Jake. When purchasing new skills for your characters, make sure to go for the camo, regrow and lead harming abilities. Also, remember to invest in every hero on the field. Don’t just focus on individual characters, but rather think and plan collectively. Make sure to keep track on your heroes’ experience gain, so you won’t miss the moment of their levelling. New levels provide bonuses to the existing skills and unlock new ones. And that would be all for our Bloons Adventure Time TD beginner’s guide! If you know any useful tips or tricks for Bloons Adventure Time TD and want to share them, please let us know!